Professional project managers are always open to learning new techniques. Learning from other experts’ workflow lets managers adopt new practices. With sharing Trello workflow templates we would support you in learning new methods. The main message of this article is: always plan before start to execute. Follow us in this series, get new ideas, and create better products! Let’s start with the simplest case when you start a new project from zero. Collect your users. We believe in user-centered product developing, so we advise you to focus on your possible users first. Try to collect users’ behaviors, needs and find out how can the product solve their issue(s). Discover activities. Specify users’ main activities and split them into smaller sub-activities. Collecting main activities helps you to set a good starting point. Try to split each of them into smaller sub-activities and organize them into a narrative flow. Narrative flow helps you to not miss any step from a user’s journey. 3. Explore the product. Fill your backlog’s body with task cards. Use your team and organize brainstorming to discover holes in the product’s backlog. StoriesOnBoards supports brainstorming with several features and brainstorming techniques. If a task is too big then split into smaller tasks. 4. Prioritize tasks. Try to move important tasks upper than others on your story map. 5. Slice out viable/working releases. Determine the MVP and organize the rest of the tasks into working or tangible releases. First things first, you need to set up the development stages. StoriesOnBoard will synchronize card’s statuses on the backlog during the development process. 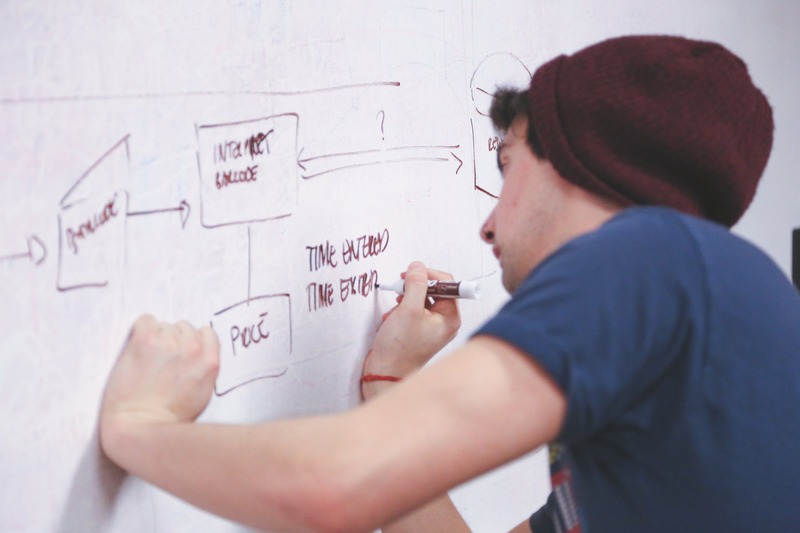 Follow projects progression on the board and detect delayed tasks. Progression tracking on story map is always easier than Trello board. Your backlog supports four status: todo, doing, ready and done, though you can use more statuses on your Trello board. Push tasks to the project management board. 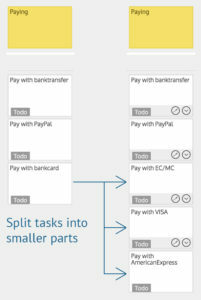 Once you have set up synchronization, you are able to send tasks to your Trello board. One of the biggest benefits of the integration is that you don’t have to flood the project management board with all tasks. The best way to stay focused is to import only the next selected release to Trello. Fewer cards on board motivate dev team to keep the pace and finish the job on time. If you added details to tasks during the planning, StoriesOnBoard will attach them to your Trello cards. When developers finished all tasks, clean the board by archiving cards. You can archive or delete the cards without losing tasks, StoriesOnBoard preserves tasks on the product’s backlog.When your team is ready for the next round import the new release and let them continue the hard work. Set estimation unit. You can use story points, hours or whatever you need. Once you’ve created a release, split it into sprints by adding further releases below. Name releases by sprints and organize tasks. 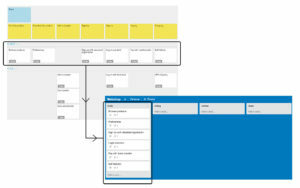 One of the biggest benefits of agile product development is the possibility of adding new features during the process. Follow us in the next part to read more about how to handle upcoming feedbacks, bugs, ideas or customer needs.